Baby mama of Shatta Wale, Michel Diamond Gbagona, aka Michy, has ventured into new business after running away from Shatta Wale. To cater for herself and her son, Majesty, Michy according to reports has started her new joint called “Chopious” where she sells fried yam and roasted gizzard; She does home delivery. Michy’s new venture, was was however revealed by Sister Sandy of Adom TV/FM. Michy was the backbone of Shatta Wale’s success. She has been through thin and thick with the “My Level” hitmaker. But it appears their latest breakup will most likely be the last as Michy has promised never to go back to Shatta Wale’s abuses. 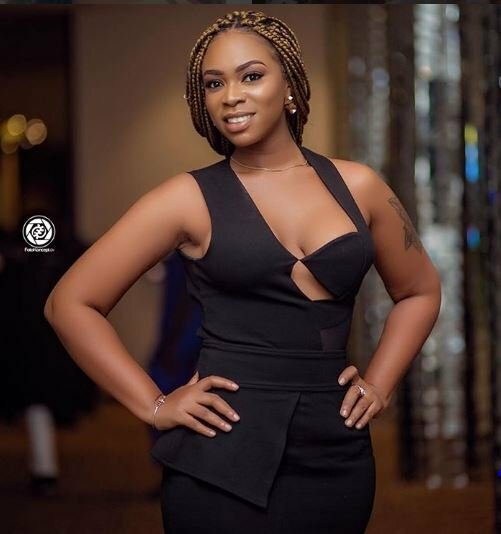 According to Shatta Michy, what caused their previous nasty breakup was Shatta Wale’s abuses. with her son and Shatta Wale is also alleging Michy is a drug addict.